If you have a very short stop in the North Vietnam, visit its most attractive nature world heritage - Halong Bay, then stroll around to enjoy the rural landscape and ancient relics of Ninh Binh. Upon your arrival at Noi Bai airport, our tour guide will be waiting for you at the entrance of security area hanging a board with your name on. 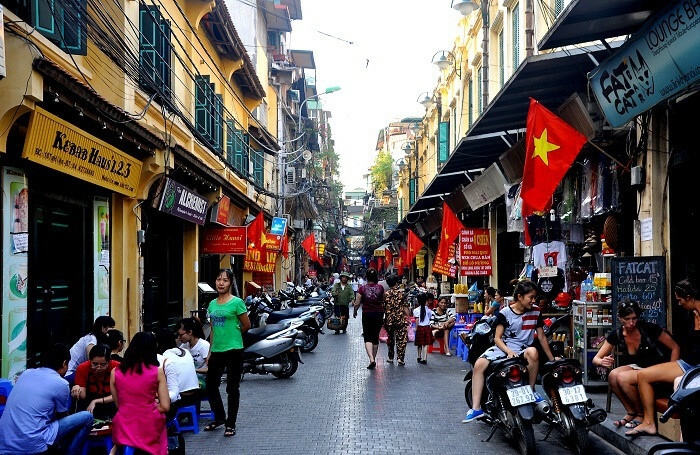 Get on your private car to center of Hanoi. Arrive at your hotel and relax. Please note that checking in time is 2.00pm. - Afternoon, we start the tour with a visit to the Temple of Literature, the first University of Vietnam, and the Vietnam woman museum or Fine Arts Museum. - Enjoy a cyclo tour around Hanoi Old Quarter which is considered the central and the soul of the city. - End the tour with a show of Water Puppetry, a unique stage art created by the Vietnamese peasants. Please note: All museums closed on Monday. Alternatives will be recommended accordingly. Around 7.45am - 8.15am, you will take a shuttle bus Halong Bay, a World Heritage with thousands of limestone and dolomite island and islets. - Stop on the way to visit Hai Duong “Green mung bean cake town”, or the Ceramic town at Dong Trieu. 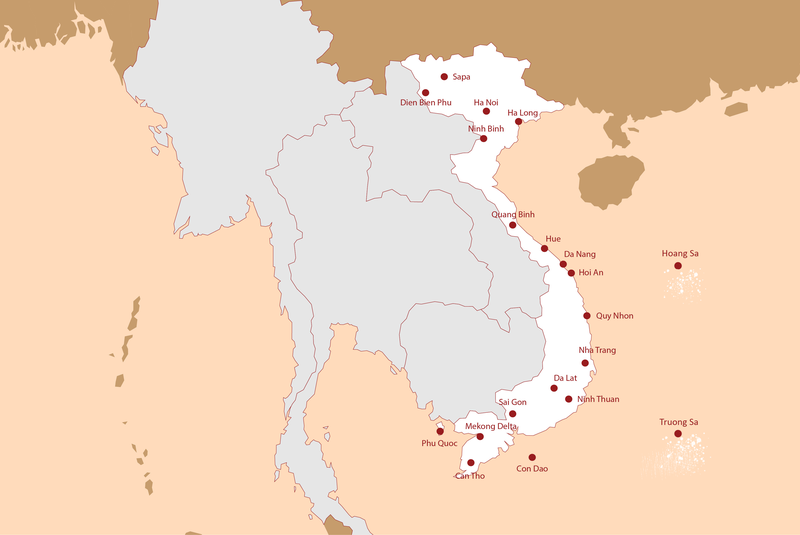 - Upon arrival in Halong, to be welcomed aboard and begin the cruise into the bay. Located in the Gulf of Tonkin, Halong Bay is one of the world's outstanding natural wonders, resembling a geographic work of art with thousands of limestone islets soaring dramatically from the clear emerald waters. This densely concentrated zone of karts islands, world famous for its spectacular scenery of grottoes and caves, is a UNESCO World Heritage Site. On this tour, witness the tranquil beauty and breathtaking scenery from the decks of the cruise, complete with bat-winged sails. 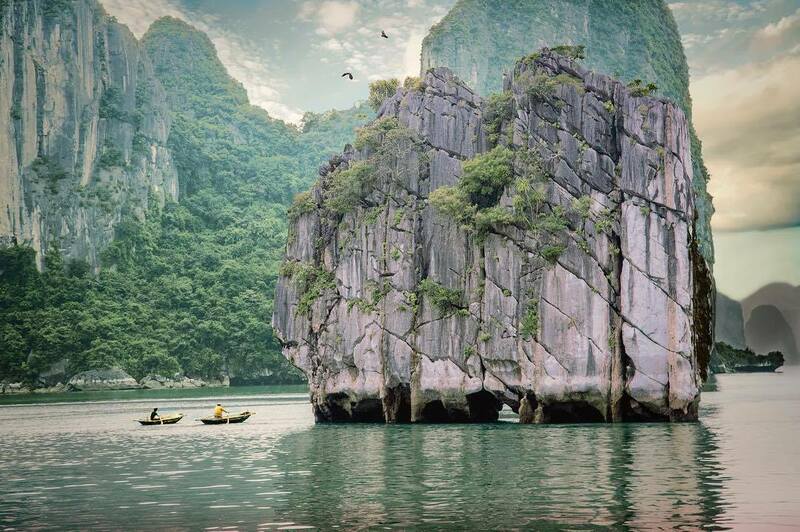 Gliding through the gin-clear waters of the bay, absorb one of the most magnificent natural splendors of the Far East. See tiny islands dotted with rock arches, sheer cliffs, innumerable white sand beaches and peaceful coves. You will stop to visit a floating village in the Bay. - In the morning, you keep spending your time on cruise. 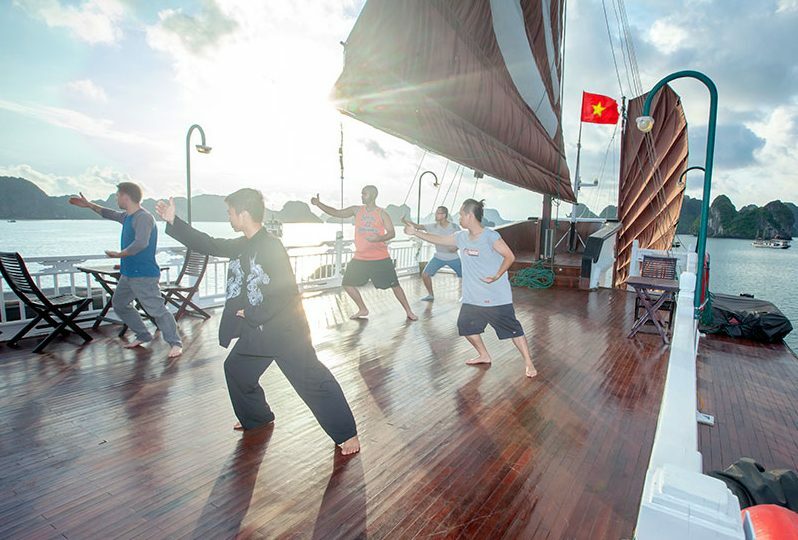 A Taichi class in the early morning will help you charging energy for a new day. - Enjoy sunrise on the sea with breakfast in a beautiful restaurant: Halong Bay. - You will visit a cave, then, check out your cabin while cruising back to the harbor. - Your shuttle bus drive you back to Hanoi. - At about 4.30pm, arrive in Hanoi, check in your hotel. - The left time of the day, you can relax at leisure at your hotel or discover the Old Quarter by yourself. 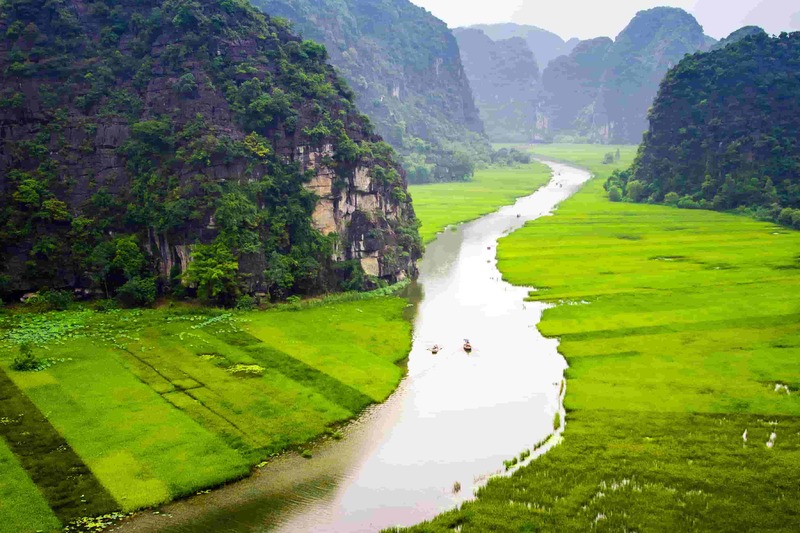 Ninh Binh is just 2 hours' drive south of Hanoi yet feels a world away from the busy capital. This is an area famous for its dramatic landscapes - rice paddies and waterways between limestone peaks. - This morning you will be picked up from your hotel and driven to the beautiful area of Ninh Binh often described as Halong Bay on land. 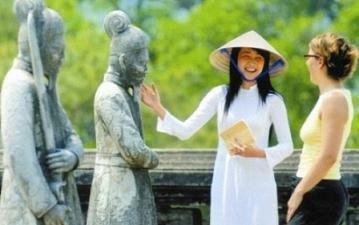 - In Ninh Binh you will visit the ancient capital of Hoa Lu where you will visit Dinh and Le temples. This scenic temple is dedicated to founder of the once-impressive citadel it sits within called Ding Tien Hoang. The small 17th century gardens are beautifully shaded, a delightful respite from the heat of the day, and feel very authentic. All around are the limestone karsts, and a similar temple is just down the road. - After lunch, you also take a paddle boat ride through the beautiful karts limestone fringed waterways of Tam Coc, means 3 caves. On the boat you will venture through water caves, seeing alive activities of local on the banks of river, goats eating grass on lime-stone mountain... This trip allows for amazing photographic opportunities in a unique Vietnam landscape, a world away from Vietnam's frantic cities. 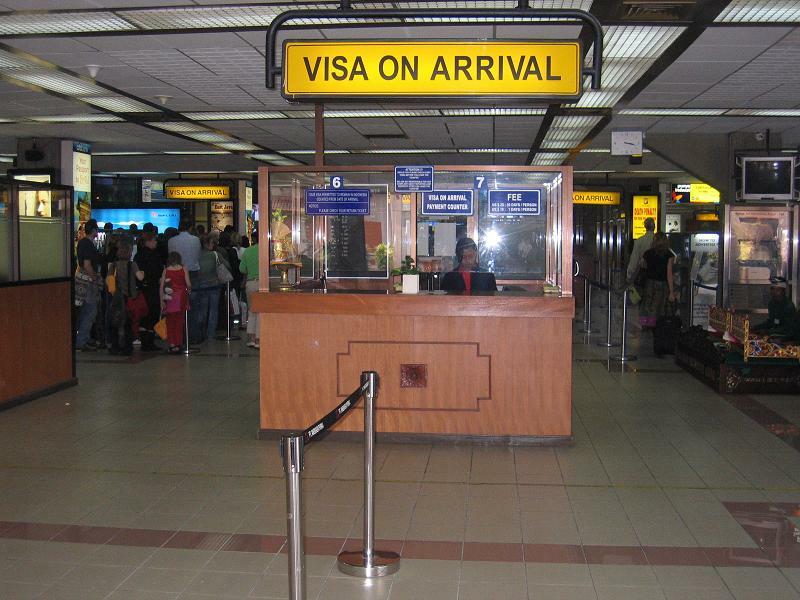 Depends on your flight time, you will collect your luggage for transfer to airport for your flight to next destination. Tour prices shown are 'per person', based on a traveling party of at least 2 adults, and sharing a room. If you intend to travel alone, the cost might be much higher. However, you can share button above to invite your friends and family, traveller forum's members to book this tour with you. - 3 nights at centrally located & well selected Comfort hotels (3 star-hotel). 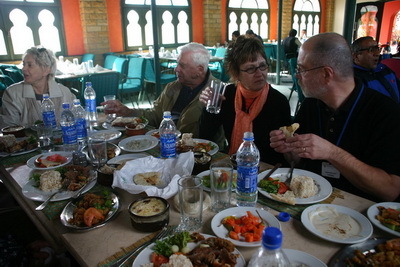 - All drink and meals do not listed in itinerary. - Insurance, gratuities and personal expenses. - Tipping for guide, driver and hotel bell boys, etc. Highly recommend the Hanoi Halong Bay and Ninh Binh to anyone who visits Vietnam if your time is limited. Our guide Mr. Cuong was very informative about the places we went to, which included Hanoi, Halong, Tam Coc and this input makes our Vietnam experience more meaningful and memorable. He was very accommodating and helpful to everyone. Thank you, Cuong The travel from Hanoi to Halong then Ninh Binh and back was also comfortable and was on time. It was a worthwhile trip. Big thanks.